You are invited to join us at Indian Summer Golf and Country Club for a night of great food, auction items and entertainment! Early birds can get a table discount if reservations are made by December 16, 2016. Child care will be provided for children of Serendipity families. For more information, please check out the brochure! We hope to see you there! October 21st Serendipity Academy PTO started the Passport Program with the students to bring art, music, and other culture from different countries. Attached is a letter which provides some additional information regarding the program as well as the schedule for countries that will be featured this year. We realize that not all countries are represented but hope to continue this in years to come and expand the countries each year. If you or someone you know may be interested in assisting with the planning or teaching of any country, please let us know by signing up on sign-up genius www.SignUpGenius.com/go/10C084AAAA62DA2FA7-friday or by e-mail. The next planning meeting is scheduled for 5:15 on October 26th at the school. 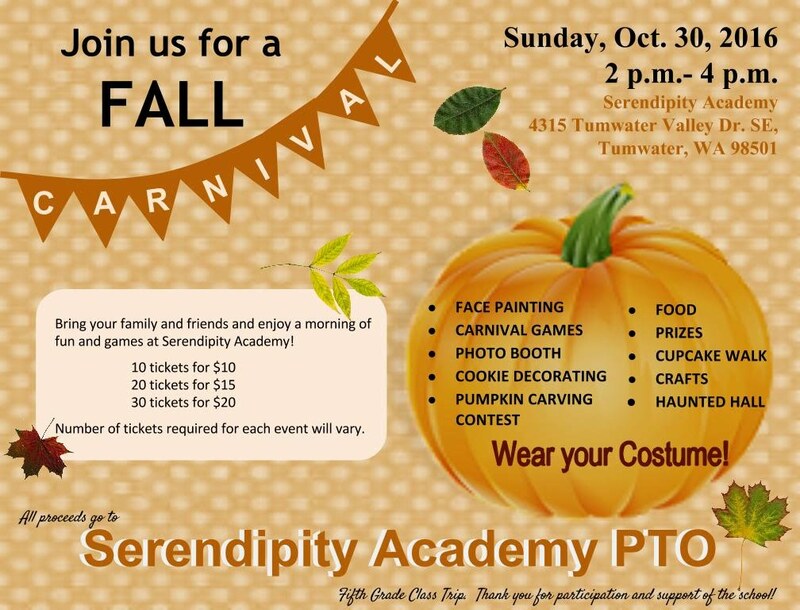 Mark your calendars for the annual Serendipity Academy PTO family fun day. This year since the 4th of July is on a Monday we will be hosting the family camp out portion of the family fun day on Sunday, July 3rd at Serendipity Academy. We will be working on the parade float during the camp out and enjoying some family time and yummy treats as well. On Monday morning we will head to Tumwater for the parade around 9 AM and will return to the school at lunch for a family BBQ. After the BBQ families are welcome to stay and hang out until the fireworks which will begin at dusk. 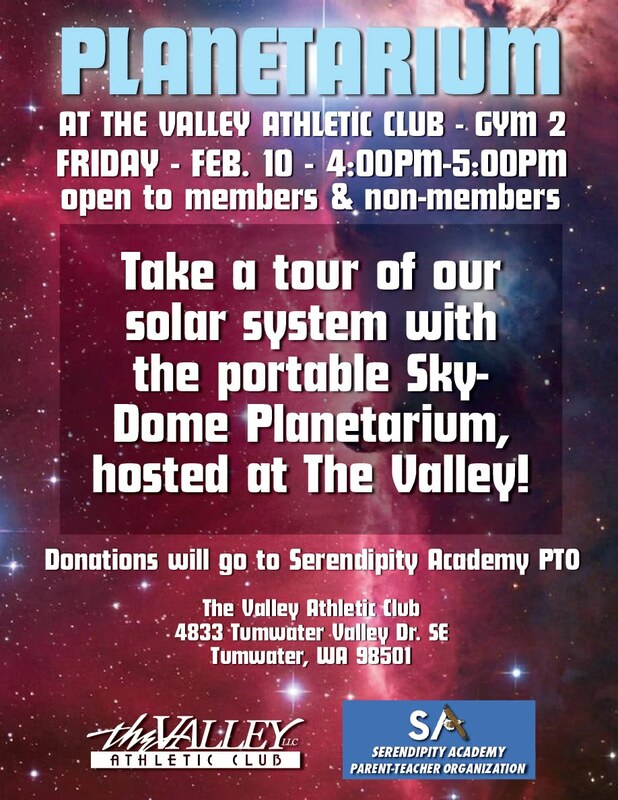 For more information please see the attached flyer and permission slip. We hope to see everyone there! Hope that everyone can come to the Soaring Up Ceremony on June 13th. The kids have worked so hard this year and we are so excited to see them soar to the next grade level! 2nd Annual Serendipity Garage Sale!! !